For even more posts about planning from curriculum picks, to scheduling options, to setting goals, be sure to visit my homeschool planning guide. Anytime you write a book there are bound to be misconceptions. Write a book on homeschool planning and there are SURE to be misconceptions. After all, the Internet is filled will homeschooling moms, each one an expert on their own home and their own children — as well they should be! These moms have their own ideas of what works and what doesn’t, and they are all exactly right for their families. Which is why I wrote Plan Your Year: Homeschool Planning for Purpose and Peace with multiple disclaimers that my way is not the only way and there are thousands of ways to plan. That is why I put in the samples folder, included the audio and all those links to blog articles, for the reader to see that others do it differently than I do and that is awesome. 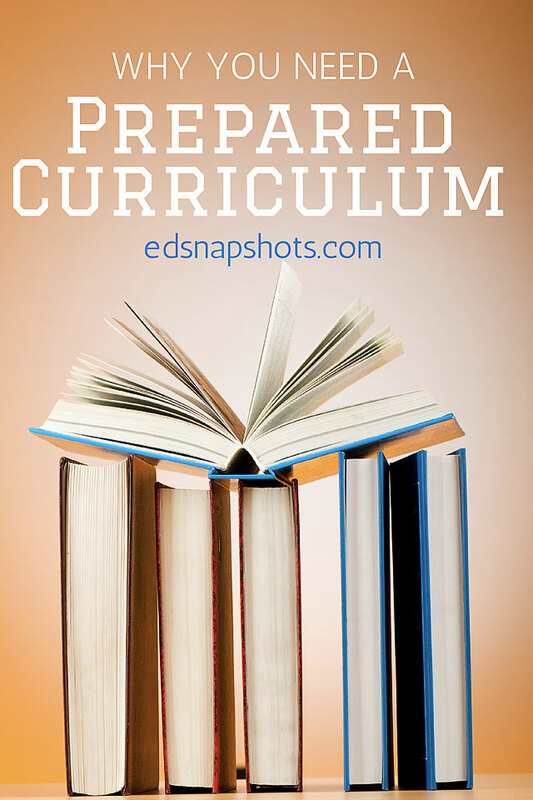 Having said that, though, I am about to make a bold assertion and that is this: you need a prepared curriculum. This probably already clears up one misconception about the book — that it is about planning your own curriculum. Nope, not even close. I could write that book, but it would be an entirely different one. But I will be honest, I don’t have an interest in doing that right now. Curriculum writing is hard, and detailed, and involved. It should really be tested on more than four or five kids, and who really wants their own kids to be guinea pigs anyway? There are homeschool mamas who do it and do it very well, but for most of us it takes more time and energy than we want to spend. Which is why I contend that you need a prepared curriculum. I contend this because sometimes homeschool moms fall into a group online (and maybe even in real life) where they are made to feel that if they are not writing all of their kids’ curriculum and lessons from scratch, then they are not giving their kids a personalized education. After all, how can an education be personalized if you are using the same book as thousands of other fifth grade homeschoolers? I fell into that trap. For the first few years I tried to create my own extensive book lists, unit studies, and even hobble together my own math program. I did use a reading program, thank goodness, but for most other subjects we went through cycles of boom and bust where I frantically prepared, we would work well for a while, and then spin our wheels while I prepared again. It was no way to run an education. I also went through a period where I chose curriculum that was marketed as being “gentler” and “more flexible” in meeting the child’s needs to make it easier to customize. I wanted to avoid those rigid, scripted, open-and-go curriculums that were so popular. What I found, though, was that these curriculums were less popular for a reason — they are also less effective. I talk more about how to evaluate curriculum in Plan Your Year. The number one factor you can control with any curriculum is the pacing. Does your child need to move more quickly — then do it. Do you need to slow down or add extra practice? Do that too. You control the speed at which you work through the materials to best meet their needs. I have one child who moves quickly through his math book, sometimes only doing two or three practice pages per concept. I have another who needs all six practice pages plus more from the internet. As the mom, I control the pace to make sure each child is mastering the material. The teacher’s guides of most prepared curriculum are a goldmine of tips, tricks, and information. (Side tip: Reread these from time to time. I find I often forget wonderful things that are in there and need to be reminded.) Most publishers also have websites and forums where you can get helpful answers from company representatives or other homeschool moms. We were struggling some with the fluency pages in our All About Reading program. When I went to the forum, I found an entire post of helpful tips that have really made a difference in how we approach these, get them done, and our attitude about the process! Finally, remember you are in charge of the curriculum and not the other way around. Don’t be afraid to move things around, and in non-skills-based subjects to throw things out entirely. Most prepared curriculum are over-filled with good choices to give an abundance of learning opportunity. Sometimes you don’t need (or aren’t even expected by the curriculum writer) to do everything that is in the plan. So be sure to whittle down to a manageable amount and not let the good be the enemy of the best. 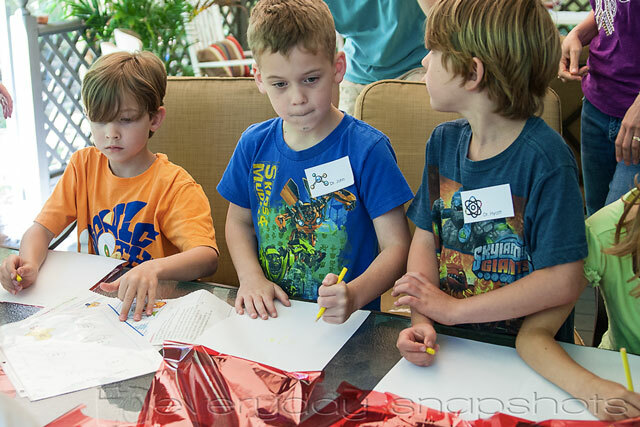 You may find in the end that you become a more effective homeschooler by using prepared materials in your homeschool planning. The time you free by not writing your own curriculum can now be spent working with your kids — reading aloud together, having important discussions, making it personal. Need more help with homeschool planning? Get your copy of Plan Your Year: Homeschool Planning for Purpose and Peace by clicking here. I really appreciate all of the advice you share here and I would really love to know which tips you’ve had success with to get your kids to read their fluency pages! My son loves AAR but every time we hit those pages he totally shuts down and acts like it’s the end of the world and he cannot believe the publishers would dare to put even more fluency practice in the book 🙂 I usually split the lessons so we do the activities one day and then the fluency pages the next day–or the next two days as the case may be and I’ve had some luck with letting him cross the words/phrases out as he reads them (I think he likes the element of destroying the dreaded pages with that method!) but it always seems to be a struggle. Christina – One of my best tips is to put a chocolate chip at the end of each row. 😀 Actually what has worked best is to buddy read with him as suggested by Merry in this thread on AAR. Sometimes with him just knowing that I will jump in and do the next line he does more than his “share.” I do make him follow along with me as I read (no looking away) or even choral read with me as well. I agree! I have found that many open and go programs work great for us, mostly because then I will actually DO them. I love our science program and we have stuck to it this year precisely because it is open and go. It makes no difference to my kids if it was prepared by someone else or prepared by me. They just want to learn! Exactly! The best curriculum is the one that gets done! Can I ask what your science program is and what the ages of your children are? I am searching, searching, searching for science and I just can’t decide. I am doing 2nd grade and Kindergarten and have a 3 year old along for the ride. Right now I just have many science type picture books along with some Usborne experiment books and was thinking about just doing that for this year and then next year actually purchasing a curriculum. I came to this same conclusion a month ago after trying to create my own curriculum for some of our subjects for the last 2 years. So much energy gets put into searching for “more & better” and I’m burned out before I even begin teaching the topic. I am looking forward to a much smoother year with our prepared curriculum. I think that was the most freeing thing for me — when I stopped feeling like I had to create it all myself. Such a burden is now lifted and I enjoy our uninterrupted progress so much. There is much to be said for consistency. I hope you have a great year! Pam I am enjoying following your blog but I just found it and I’m curious of what boxed curriculums or prepared Curriculum you use. Thank you! I find it interesting that people seem to be hypercritical of what other homeschoolers write (not necessarily your book ;)). When I purchase a homeschooling book, I fully expect that I will not completely agree with everything. Even if I agree, I may not be able to make it work for my family. That being said, I know that I will find some gem to encourage me or help me along the way. I did not even know you had a book out- I’ll have to take a look! Obviously I need to be better at marketing! 😉 Yes, I am the same way. I take what I want from a book and then leave the rest. But it is OK that people are talking about a book even if they are disagreeing with it, because that means they are thinking. As a writer, that is what you want — to be helpful and to make people think. For a couple of major practical reasons I have to tweak any curriculum so much that it is no longer recognisable. Therefore a prepared curriculum doesn’t suit my needs at all. Erin – You have been doing this for much longer than I have, so I am going to bow to your wisdom. 🙂 You also have to be homeschooling one of the widest range of ages of any homeschooling mom I know, so I think your situation is rather unique. My main point with the post is to let newer homeschool moms know that they are NOT failures if they don’t create everything from scratch. As we all gain experience things may change and some of us may end up going the same route as you. The main point is, either way is OK. I am glad folks like you share your experiences (and book lists) so generously with the rest of us! Thanks for stopping by. Oh if only I was wise, still learning all the time. Excellent point and one that does need to be made. a) we are not Americans, so massive tweak one. b) my children are such voracious readers they have already read at least half the books on any curriculum I have looked at. I think both sides can work – even in the same family! We’ve always homeschooled at have eight children. Sometimes a prepared curriculum (with some tweaks) is a great time saver and fits my family’s needs of the particular year. Other times we need or want something unavailable so I create it myself. We’ve also had a factor not everyone deals with – a child with major medical needs. Two and a half years ago I gave birth to my 7th child. Mason was born with Spina Bifida – his spinal cord was literally sticking out of his back – along with other things. In the 2.5 years since his birth we’ve had a roller coaster of surgeries and are closing in on our 200th doctor’s appointment. He has had 7 brain surgeries, 2 spinal cord surgeries, 3 other misc. surgeries, and next month has a double surgery that is his 13th and 14th combined. For us this roller coaster of medical needs meant we chose very carefully what our homeschool focused on. Living books are a cornerstone for us. Narration. Family learning. We have chosen a mix of prepared and mom-created plans because I didn’t have time to mess with tweaking something to get it to work. So I suggest both can work and that it is not a choice of one over the other, but a choice of when and for what you use each option. I love your blog and many times share what you write to other moms because you are so inspirational and practical at the same time. And I don’t know a thing about the criticisms others have so generously (ha!) launched at you, so that you have to start your post with many disclaimers. But in my own experience (20 years or so) of homeschooling, I have come to the exact opposite conclusion. I am a curriculum minimalist. I have come to the conclusion that if children are surround with a rich literary atmosphere that excites their wonder; if we are there to model and answer questions, if their lives are full of stories and play, projects and adventures, there is very little need for curriculum. There is a need for material to interact with (a classic book, a game, a challenging debate); there is a need for resources for mom and dad so they can better respond to the child’s development readiness, but planned curriculum, no. I do think in high school, planned curriculum can be useful if you are nervous about credit hours or if it is subject that intimidates the parent. Certain things do lend themselves to systematic instruction like Latin and math (but kids can learn tons and tons of math without any planned curriculum. We didn’t start math curriculum until about 7th grade). 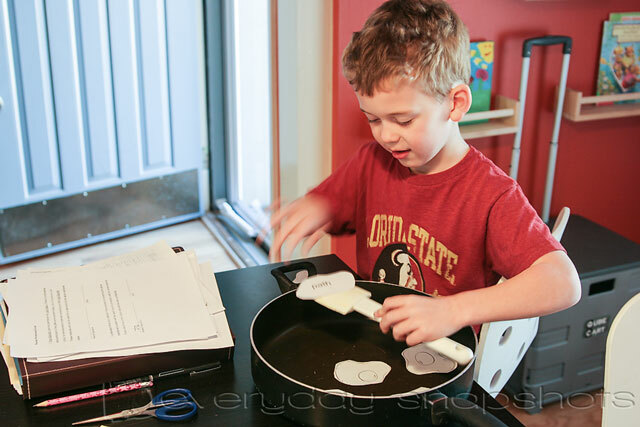 Everyone finds their own way in this homeschooling endeavor. So I don’t mean to question the validity of your own experience; just felt the need to share that this might not be true of everyone. I think we are more in agreement than disagreement. I certainly prefer an education of literary wonder for the elementary grades myself. I was advocating open and go curricula for skills subjects. My elementary ed consists of skill subjects, co-op, and a good booklist so it’s not like I was advocating a full-on curriculum with all subjects. Even with skills subjects, I still find no curriculum easier! For instance, my kids were all dyslexic/late readers. I found using phonics resources much, much better than a planned reading curriculum. The reading curriculum inevitably created stress because it either moved too fast or didn’t have enough practice. It took constant doctoring and tweaking and a constant reminder that we weren’t on track according to the ‘plan.’ If I used a resource, I didn’t have that issue. I could truly teach directly to what the child needed for that moment or for the next six months if they were stuck in a holding pattern (and I just had to be patient and wait for the next developmental leap). For hand writing, sometimes we used penmanship books, but it was more freeing and the kids took more delight in me just writing out a quote they or I had chosen and then having them copy it. Handwriting then became penmanship, literature, spelling, grammar, etc all at once. Pam, I couldn’t agree more! I totally agree! I started out using My Father’s World, but didn’t like it. Then I started trying different stuff and piecing together resources and scheduling everything. I liked it when I had time to do it (mostly). Due to our current circumstances, I now work full time outside the home and I sooo do not have the time to plan like I used to! So for this year, I went ahead and bought Simply Charlotte Mason’s stuff, the whole kit and caboodle. It’s pretty open and go and covers everything I want to cover, so win-win. I ordered printed copies of everything except student books so I can reuse everything. Fingers crossed for an excellent school year! Melissa, I have contemplated using Simply Charlotte Mason’s things. I would love to know how it’s going. Thank you Pam for this gracious post. What excellent encouragement for readers (including myself!) to grant themselves permission to be grateful for guidance versus guilty for giving up (for many) an unrealistic ideal. It truly is what works best as you mesh the needs of individual children with family priorities. There is no one-size-fits-all! Like you over the years, I’ve learned to pick and choose different curriculum to handle various subjects/topics and throw out parts I don’t need or like. For example this year we will cover History with the scheduled assignment curriculum, but Artist Study in a more Charlotte Mason fashion as part of a Morning Time loop. Published curriculum, used properly, offers the grace of structure so I can focus on the specific customization and varied flexibility that each of my children or teen needs … AND so I can read books aloud in the evening with joy and enthusiasm versus exhausted resignation. I truly appreciate your wisdom in this and all things homeschool. I myself have found if I don’t prepare something ahead of time it is very likely it will get passed over. I think many have mistaken the meaning of “Prepared Curriculum.” I prepare it myself!!! Thank you for your homeschool support that I have loved throughout my short time homeschooling. Thank you for this post. It is affirming and encouraging as I begin our homeschool journey this fall with my oldest! I wonder, can you, or other readers, make a suggestion for a prepared Bible curriculum for Early Elementary years? This is one piece of my puzzle I have not yet filled for the year and was anticipating having to create my own curriculum here. I would rather not – especially now, after hearing your post. Thank you for your suggestions! Heather – Look at Grapevine Bible Studies and see if it might be something you would like. Thank you, Pam! I will! I hope there’s a chance that the real Pam will get to see my post. I found out about you from Sarah Mackenzie several months ago. When my kids have seen you on a couple of Facebook Live feeds, I have introduced you as “my friend Pam” to them. Over the last few months, I’ve listened to both of your podcasts and your fantastic audio-blog. You have been such an encouragement to me as I begin to navigate this next phase and I thank you. Your posts are cheery, but not over-the-top. You set realistic expectations, but, as you’ve said, your gift of breaking it down into manageable pieces helps me to feel that I, too, can do this. Thanks for all of your hard work in helping others to succeed. Hugs to you! Oh I’m feeling “real” tonight Heather. 😉 You are so, so right. If something works well for you don’t mess with it. No matter what you read online, what your friends say, what your mother-in-law things — nothing. Just keep on using it. Glad you’re here. Please, I am like the Sandra Lee of homeschool (Semi Homemade)! So, yes! I agree. I love the framework of a curriculum. It gives me somewhere to start, and then we customize, blend and apply where we need it. All for a perfect fit and a perfect amount of work.